The Navy's focus over the past year has been on Combat Efficiency and Materiel Readiness, and upkeep of its fleet of 131 warships and submarines. The bi-annual Naval Commander's Conference, scheduled for four days from May 8 to May 11, will see the Navy review its new Mission-Based Deployments philosophy aimed at ensuring peace and stability in the region. The new deployment philosophy, in furtherance of Prime Minister Narendra Modi's vision of Security and Growth for All in the Region (SAGAR), aims at sustained, peaceful and yet responsive presence of Indian Naval ships in critical areas and choke points. The Navy's focus over the past year has been on Combat Efficiency and Materiel Readiness, and upkeep of its fleet of 131 warships and submarines. The Navy has taken various measures to improve combat efficiency, including the new transition cycle for ships for transition from maintenance periods through a training phase and thereon to full-scale operations will be examined at the conference. Measures to ensure safety, continued training, and checks and balances on crew proficiency on-board its frontline warships will also be reviewed. An overhaul of the training standards of units by revamping the ‘Ship Operating Standards (SHOPS)' is also underway. The new SHOPS, set to be unveiled shortly, focuses on Role-based training in realistic scenarios and sets standards to be met by units as also targets individual crew proficiency levels. The Navy has been at the forefront in the absorption and exploitation of cutting-edge technology. Naval Commanders would also deliberate upon steps to improve the Teeth-to-Tail ratio and explore niche fields such as Artificial Intelligence and Big Data Analytics. Harnessing cutting-edge technology, specifically those ‘Made-in-India', to improve organisational effectiveness and efficiency would be another key focus area of the Commanders. 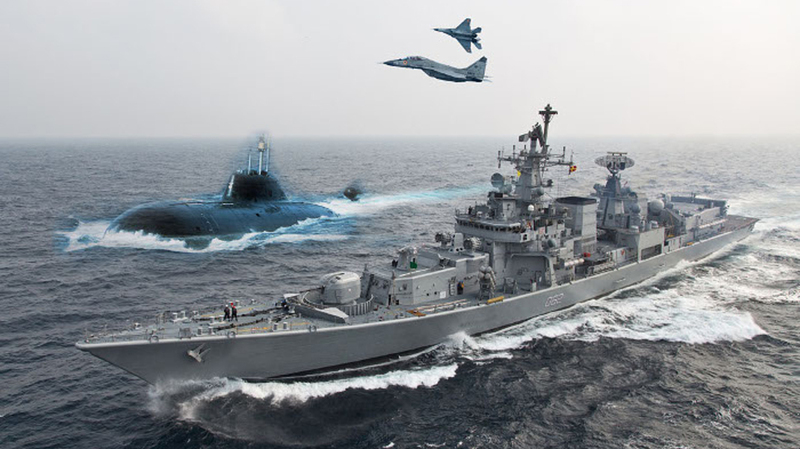 Indian Navy has been the flag-bearer of the indigenisation and ‘Make in India' initiative. A total of 27 ships and submarines are currently under construction in Indian shipyards, including the first indigenous Aircraft carrier 'Vikrant'. The Navy promulgated the 'Indian Naval Indigenisation Plan 2015-30' which has laid down our plans for the next 15 years. This allows for industry to formulate strategies to meet the requirements of the Navy through the new Strategic Partnership Model, notified in May 2017, as well as domestic R&D. These initiatives, which are aimed at enhancing indigenous defence industrial capability extending up to the Micro Small and Medium Enterprises (MSMEs), shall also be discussed. The Commanders would also deliberate on the optimal utilisation of the Navy's share of the defence budget through prioritising capital acquisitions and modernisation plans to bridge critical capability gaps. The Naval Commander's Conference would be addressed by Defence Minister Nirmala Sitharaman during the inaugural session followed by discussions with the officials of Ministry of Defence.